Follow the next steps of the wizard. 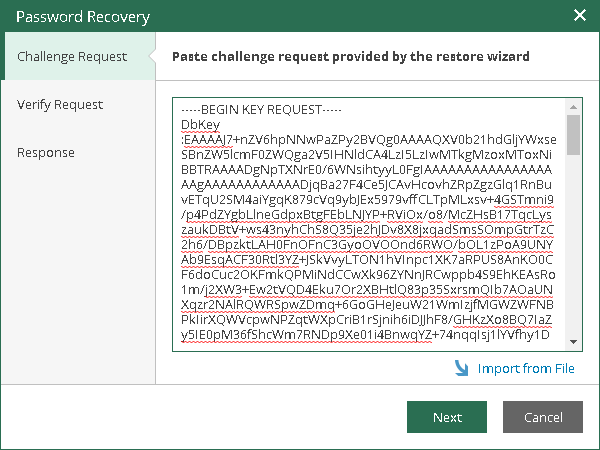 At the Response step, copy the text displayed in the wizard to the Clipboard. 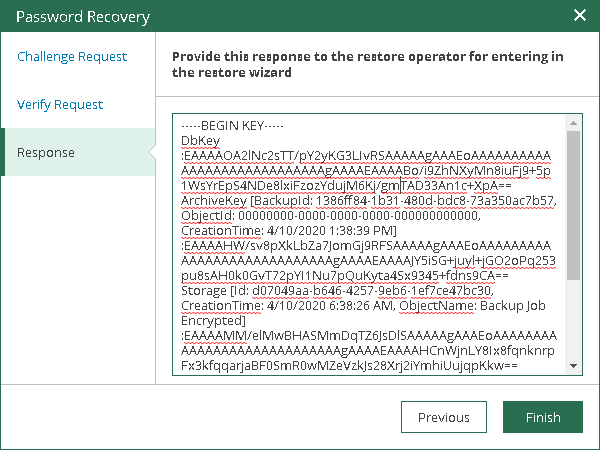 Send the copied response by email or pass it in any other way to the Veeam Backup Administrator working on the Veeam backup server.